I cherish so many fond summer memories in the sun from vacations, days at the river, camping or on a kayaking trip. What I don’t cherish is the follow up of the gooey aloe vera gel. You remember the one, where you walk around like a robot trying not to touch anything as this sticky substance dries to your skin. But one thing was for certain, aloe vera worked like a charm. Every. Single. Time. For a vitamin D overdose, there is nothing that competes with the effectiveness of aloe vera. But there are many other surprising uses of aloe vera, including wound healing and even anti aging treatments. My mother always used to a grow an aloe vera plant and cut it off to get that ooey goey gel goodness to apply to my childhood scratches. Aloe Vera has made a debut into the skin care and natural health industries. 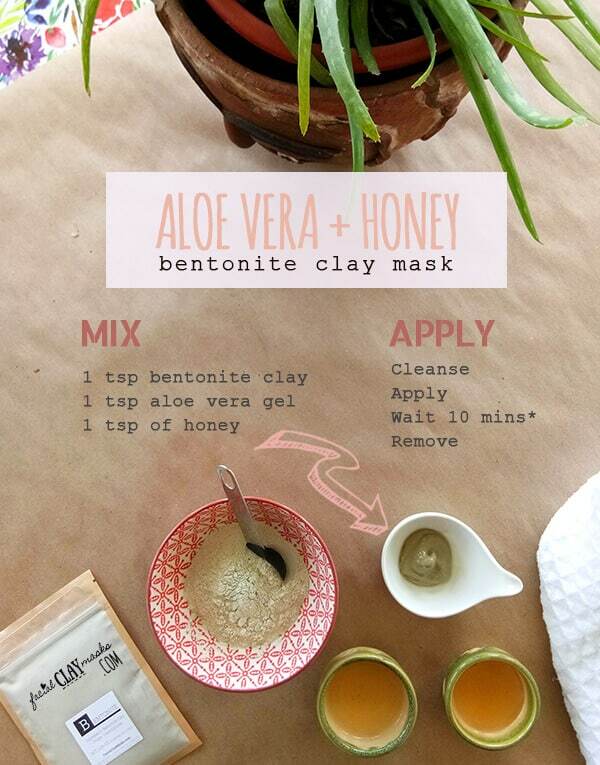 So today’s face mask recipe combines the healing properties of aloe vera with antibacterial goodness of honey and rejuvenating bentonite clay. The result? 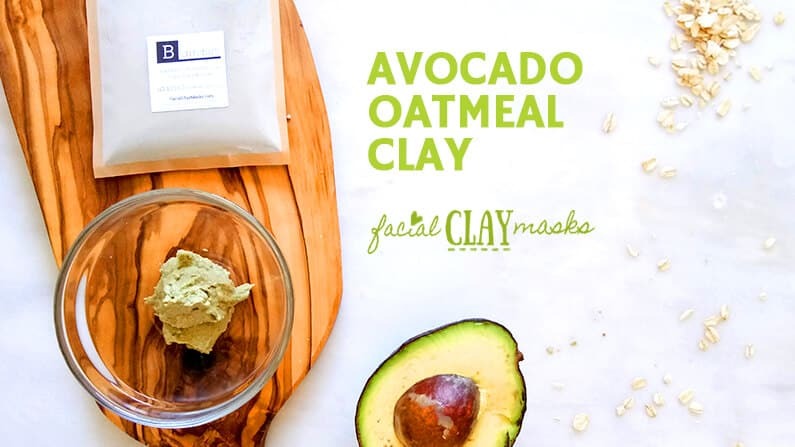 An ah-mazing clay face mask. This face mask recipe is great for oily skin, combination skin, acne scars or for tightening. If you have dry skin, I would suggest replacing bentonite with french green or kaolin clay. More on that below. I like combining opposite forces so that you get the best of all worlds. The 2 major ingredients are soothing honey and aloe vera. It makes a perfect combination to use Bentonite clay to get the strong detox and cleansing capability. You can feel free to swap out Bentonite with your favorite cosmetic clay. 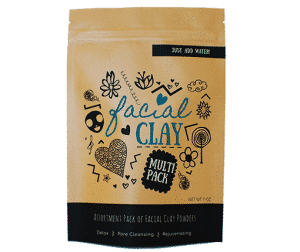 You will love our product, facial clay assortment pack for this reason! 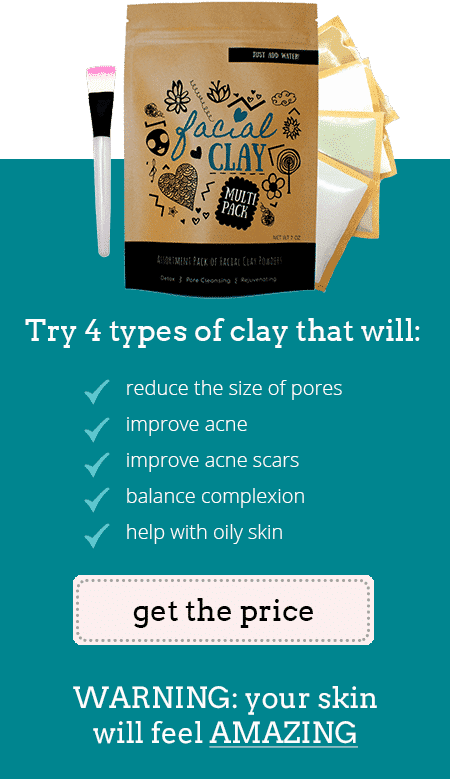 We include 4 of our favorite powdered cosmetic clays so you can mix and match as your please. And the best part? Mixing your own clay mask is 100% natural. No nasty chemicals or preservatives! What are the benefits of aloe vera for your skin? What are the benefits of Honey for your skin? 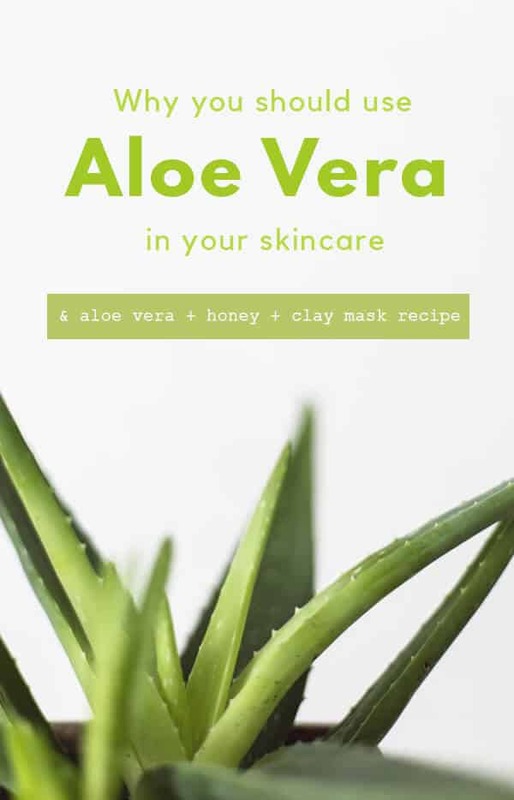 What are the Aloe Vera Clay mask ingredients? Aloe Vera has a distinct look like no other plant. Almost a combination between a succulent and a cactus. It’s outer green leaf is long, thick and skinny with serrated edges. But don’t let the edges food you, inside is a gooey gel substance, made of 99% water. Vitamins like vitamin A, C & E that are also antioxidants that fight against free radicals. Vitamins B12, folic acid and choline also make an appearance. Aloe Vera contains 8 enzymes. For your skin, bradykinase is the most noteable which helps to reduce excessive inflammation when applied topically. Goodbye acne breakouts. 9 different minerals, some of the popular minerals being calcium, copper, magnesium, potassium and zinc. Hello natural mineral goodness! Sugars which are found in the mucilage layer of the plant. You can buy both inner leaf or whole leaf aloe vera. Anthraquinones. I know, a bit word. All you need to know is 2 of these are aloin and modin which act as antibacterials. Good fatty acids. All 4 types of fatty acids in aloe vera have anti-inflammatory action and lupeol has antiseptic properties. Aloe vera even includes hormones! Don’t worry these plants won’t talk back to you ;P But hormones can be good to aid in wound healing and act as an anti-inflammatory. 20 of the 22 amino acids and 7 out of the 8 essential amino acids are also found in the aloe vera. Lignin enhances the absorption of other ingredients with topical applications and saponins are about 3% of the gelly inside which is a soapy substance with cleansing and antiseptic properties. Aloe Vera has a long history for it’s medicinal and cosmetic use. There is evidence that Egyptian queens Cleopatra and Nefertiti used it as part of their regular beauty routine. I think it’s so important that we know what is in our skincare. Even if it’s deemed a natural product like aloe vera, is it safe for your skin? I got your back and will save you a bunch of time by doing the research for you. In all my recipes, I always try my best to get the basic information to you. And not just the fluffy stuff, while making it interesting to read (I hope!). Aloe Vera has many uses other than just skincare. It’s been long regarded as a medicinal for internal purposes. But in 2015, aloe vera whole leaf extract was listed as an ingredient on the prop 65. However, don’t fret, in the notice of intent to list the chemical, it does not that aloe vera whole leaf extract is not the same as aloe vera gel, which is not covered in this notice. Please do your own research, especially if you intend on ingesting aloe vera. Moisturizing. A component of aloe vera called, Mucopolysaccharides, helps to bind moisture into the skin. Skin elasticity and less wrinkled is a result of stimulated fibroblast which produces the collagen and elastin fibers. Note, it doesn’t reverse the signs of aging, but can help protect from deepening existing wrinkles and fine lines. Tightens pores and shrinks the appearance of pores. Improve the skin integrity. This happens in a couple ways. The amino acids soften hardened skin cells. Bringing together flaking cells from the outer skin layer and sticking them together, creating a softening effect. Reduce acne with anti-inflammatory effects. Aloe Vera can be an ingredient you see often in moisturizers. You can apply the gel as an overnight moisturizer. I like to combine it with vitamin E serum or my favorite carrier oil as a hydrating overnight cream. I use either sweet almond oil or grapeseed oil. Next in our ingredient spotlight is a handy kitchen ingredient — honey! 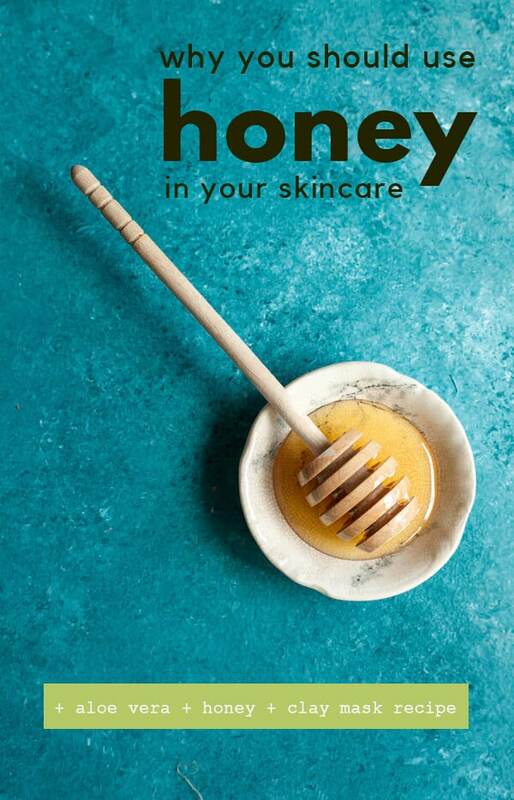 Why should use Honey in your Skincare? I have fallen in love with honey, actually Manuka honey is where it began. Check out my new favorite manuka honey face mask. Honey is a pretty common ingredient in a lot of face masks. Normally honey melts down your face, but with the addition of clay this is not the case. That’s why I love combining the benefits of honey with clay. Little known fact about raw honey, it has a natural peroxide, so it’s naturally antibacterial. A common theme in our face mask ingredients is anything antibacterial. These ingredients can fight acne causing bacteria from your skin. Plus honey is packed full of antioxidants. I also love ingredients with antioxidants as that is where you find anti aging results. Anti oxidants fight free radicals and slow down the process of aging. Yes! And honey also has an amazing soothing effect on your skin resulting in a balanced complexion. 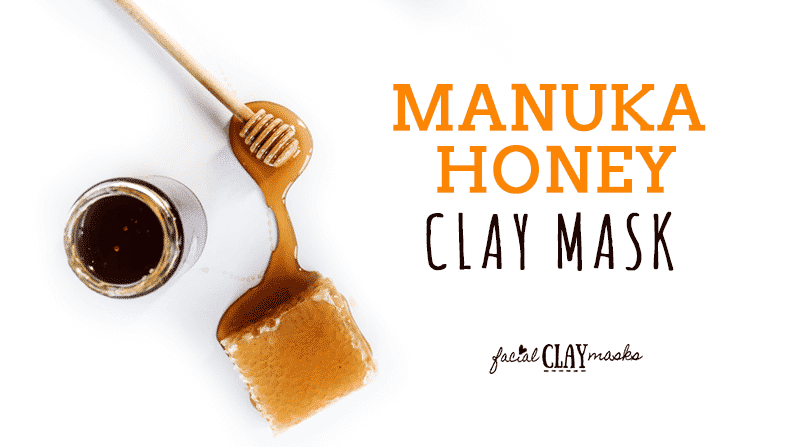 Why did we choose honey for a bentonite clay mask? Normally, with our bentonite clay masks we choose to pair it with Apple Cider Vinegar. 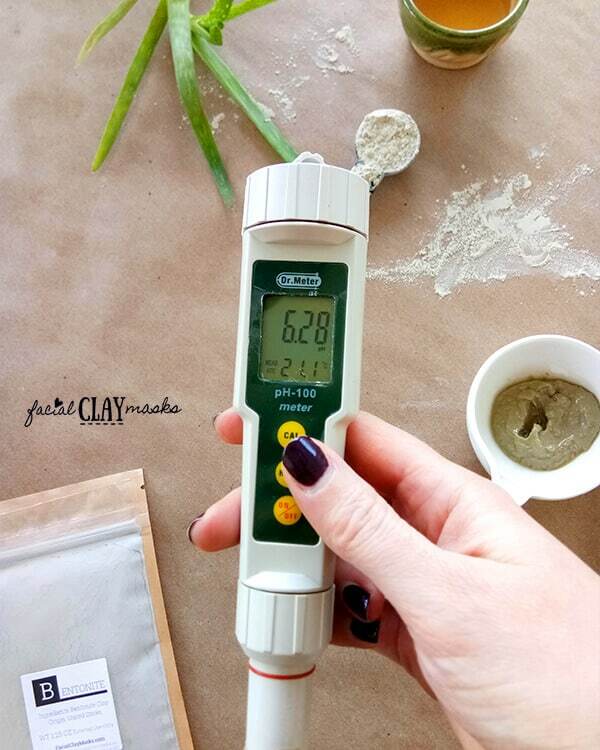 Bentonite has a very high alkaline PH, approx 8.7-9. Applying Bentonite and water to your skin can damage the acid mantle of the skin. In our bentonite and apple cider vinegar mask, the apple cider balances the PH to make it a safe face mask. Honey is also very acidic, approx 3.9 so this also balances the Bentonite clay. Our recipe below, was 6.28 PH. 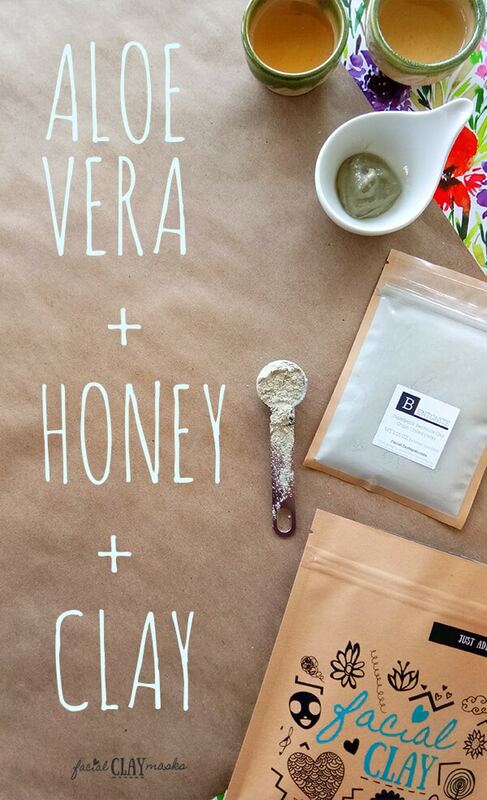 The ingredients for this aloe vera clay mask are pretty simple. Our facial clay assortment pack comes with Bentonite Clay, Rhassoul Clay, Kaolin Clay and French Green Clay. 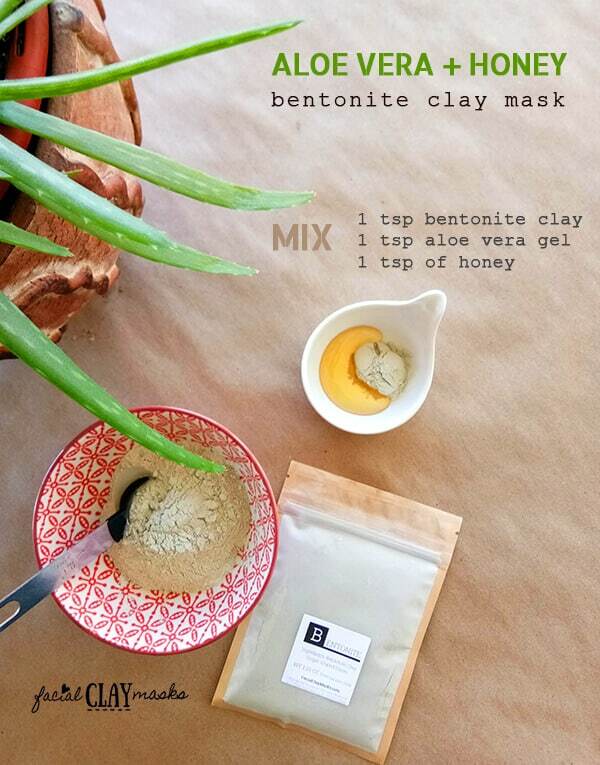 That will make you up to 25 face masks, including using the Bentonite Clay in this recipe. This recipe yields 1 face mask recipes. This was a hit at one of our girls monday night bachelor evenings! The instructions for how to mix are super simple! Simple mix all 3 ingredients in a glass or plastic bowl. Because of the stickyness of the honey, the clay can clump a bit. Stir for a extra couple stirs to work those out but dont worry too much. I found those clumps were easily smoothed out when applied to my skin. I think this goes without saying, but always make sure to cleanse your skin before doing a face mask. You want to remove the junk that settles on your skin from the day. Then the mask can work it’s magic and clean deeper into your pores. Prior to a clay mask, I also like to have a shower to open my pores as well. I have oily skin so that works well for me, for dry skin don’t worry about this. Using a face mask brush (also included in our face mask assortment), apply to your skin as a thin layer. A couple of the clumps from the mixture were easily smoothed out on my skin. Since this mask has honey, you will find it’s not thick like a lot of our clay masks. The texture is thin and smoothing when applied to your skin. With the added moisture from the honey and aloe vera, this maks takes a bit longer to dry. Remove just before the mask has dried on your skin. For this mask, my favorite routine is to shower, apply the mask and then apply an overnight aloe vera mask. For the overnight mask, I simply mix vitamin e serum with aloe vera and apply. Then my skin gets a wonderful blemish treatment and deep cleanse. Followed up by a super moisturizing overnight mask. My skin feels soooo smooth and hydrated in the morning after that routine.